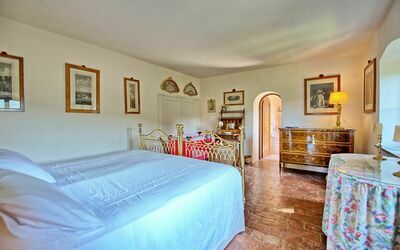 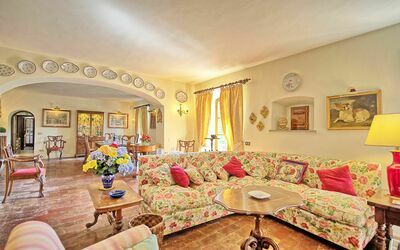 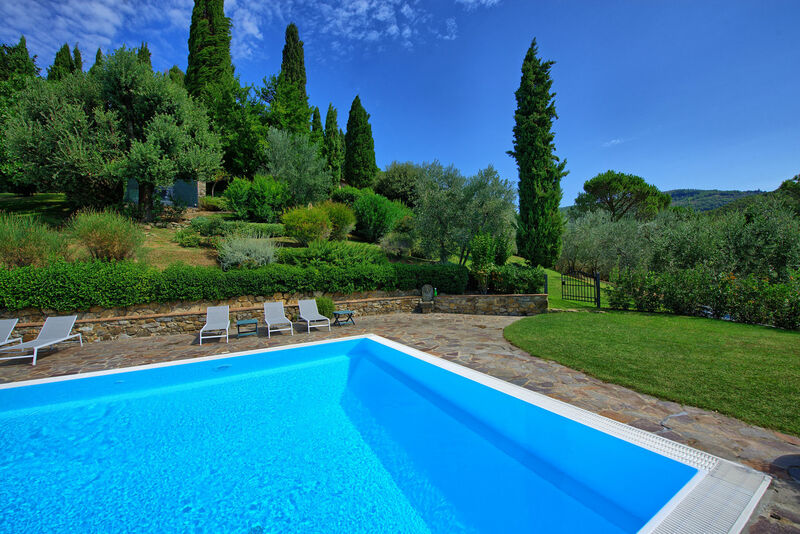 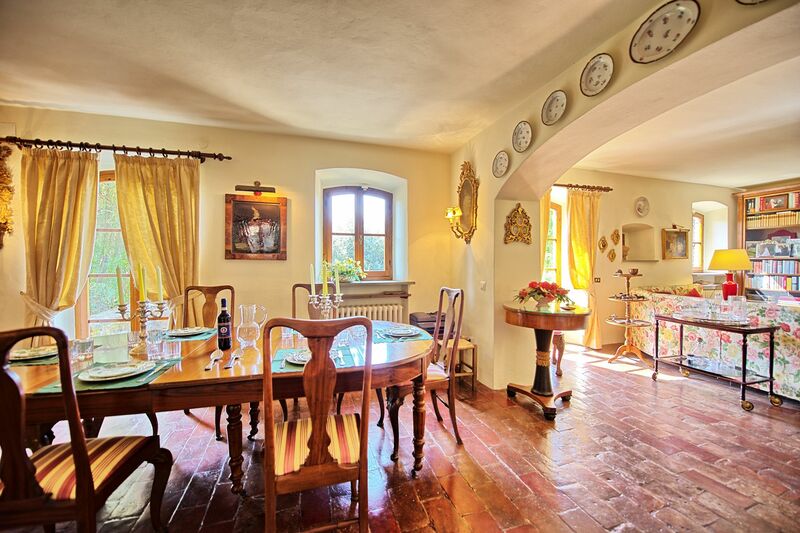 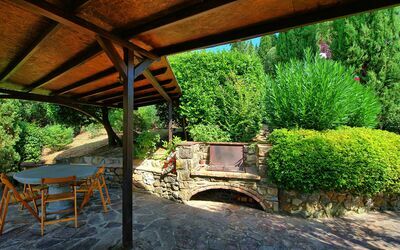 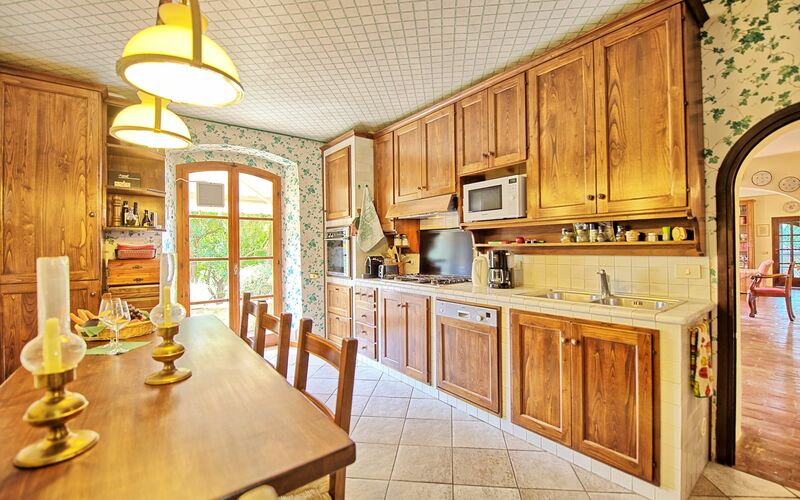 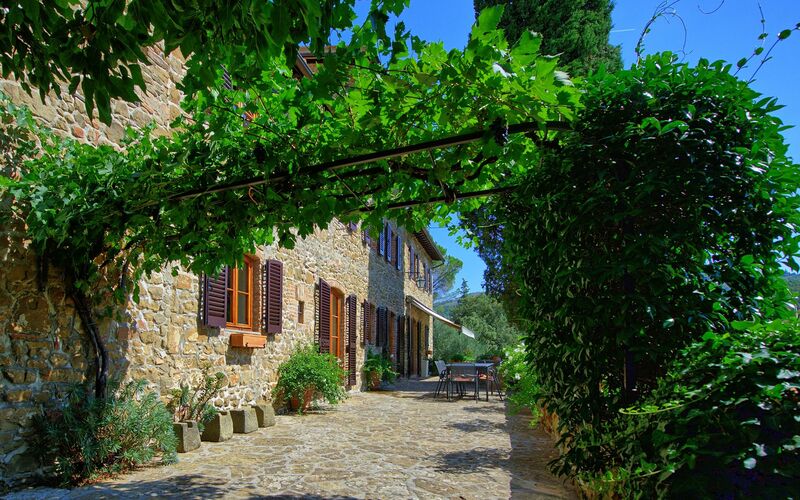 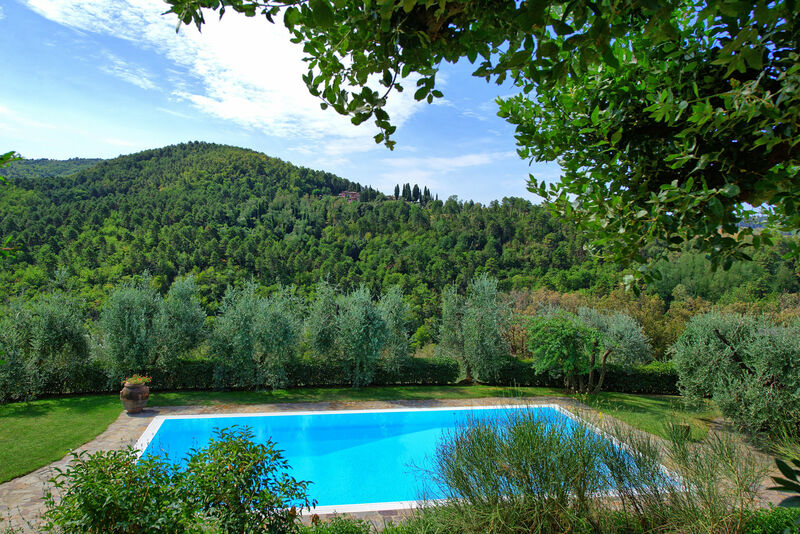 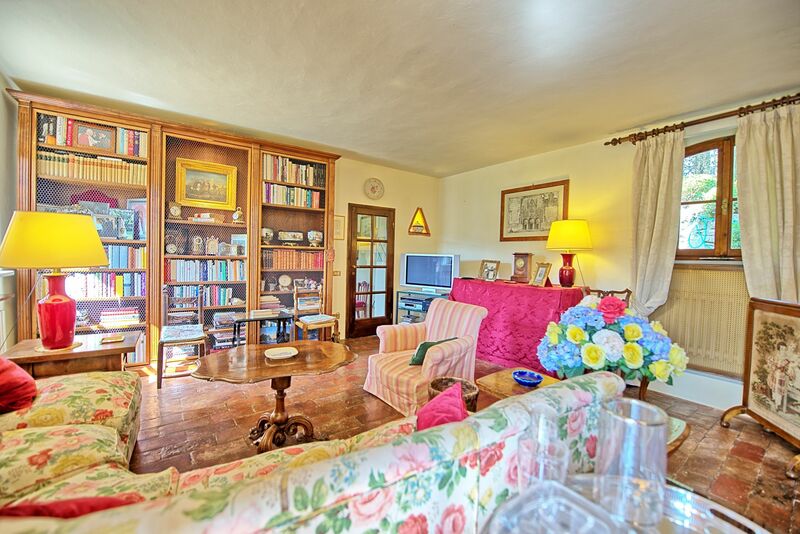 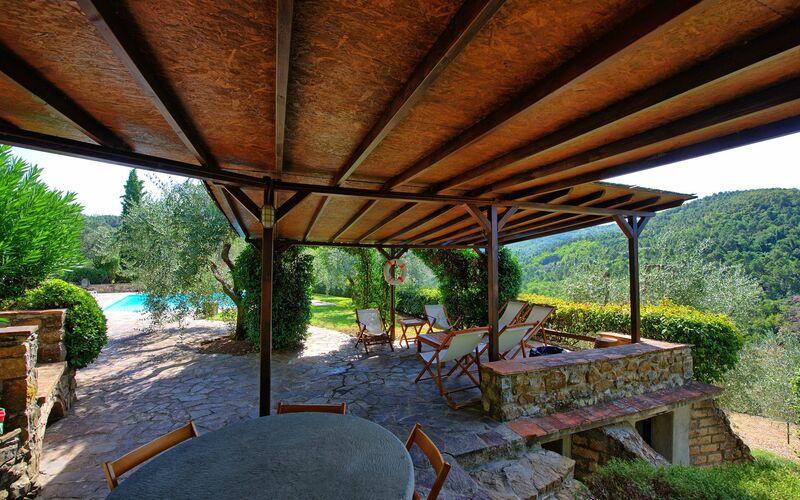 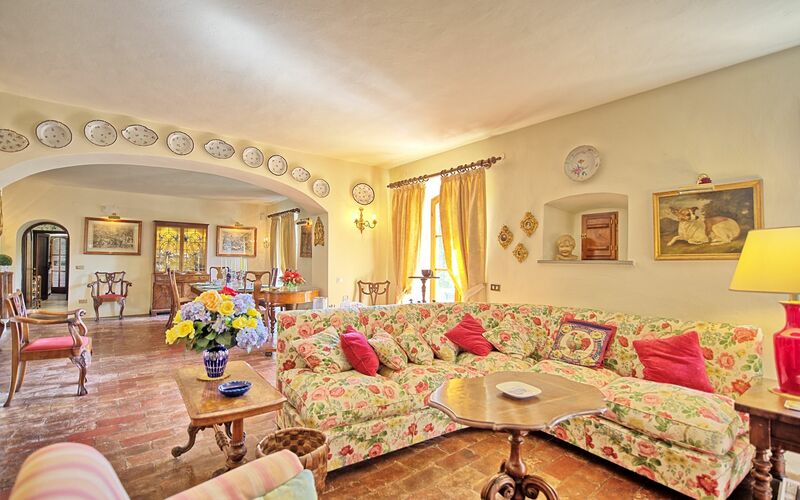 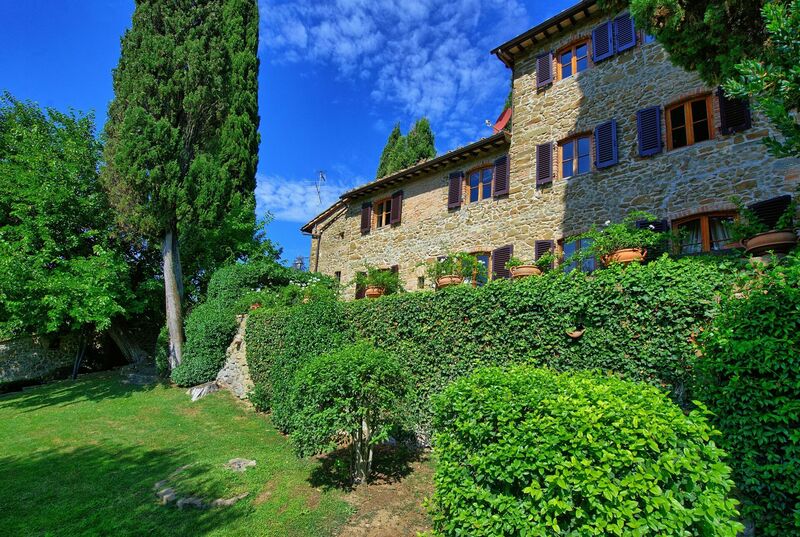 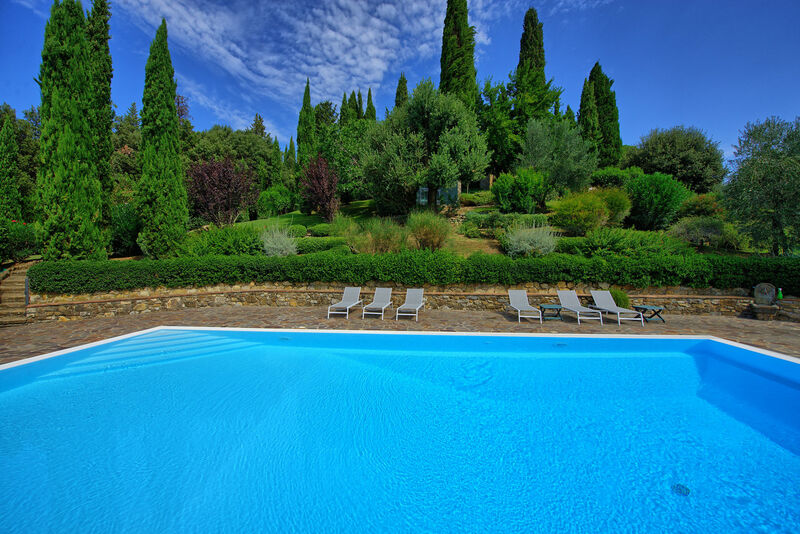 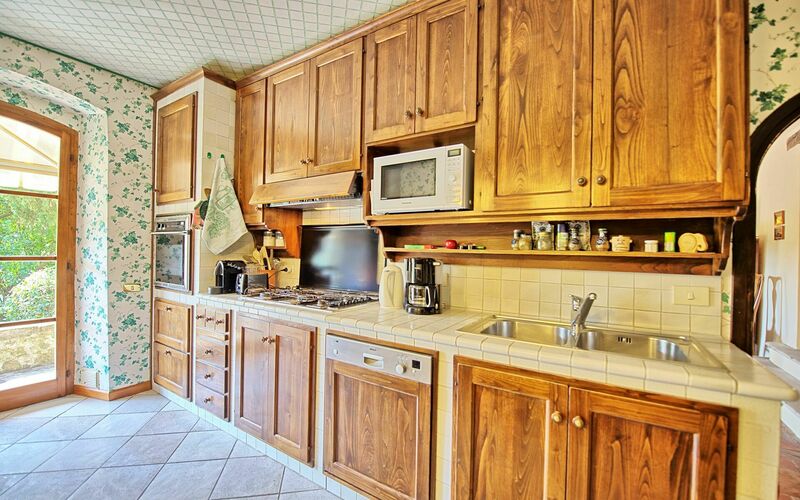 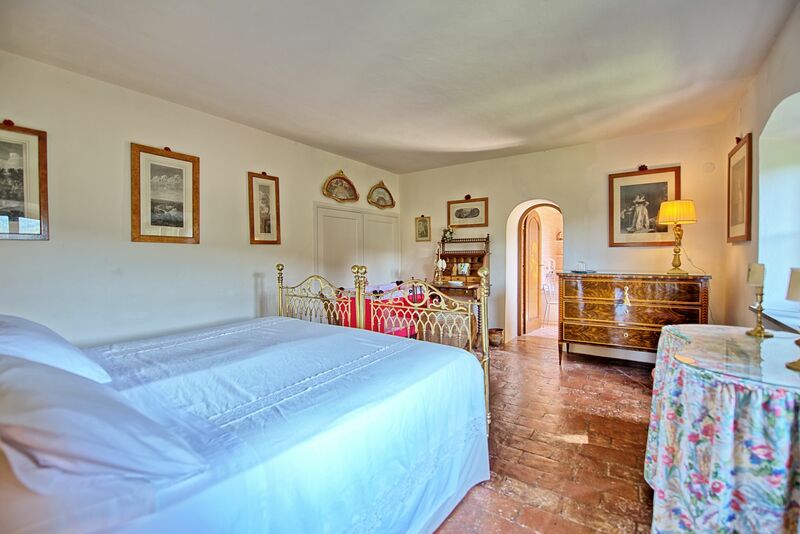 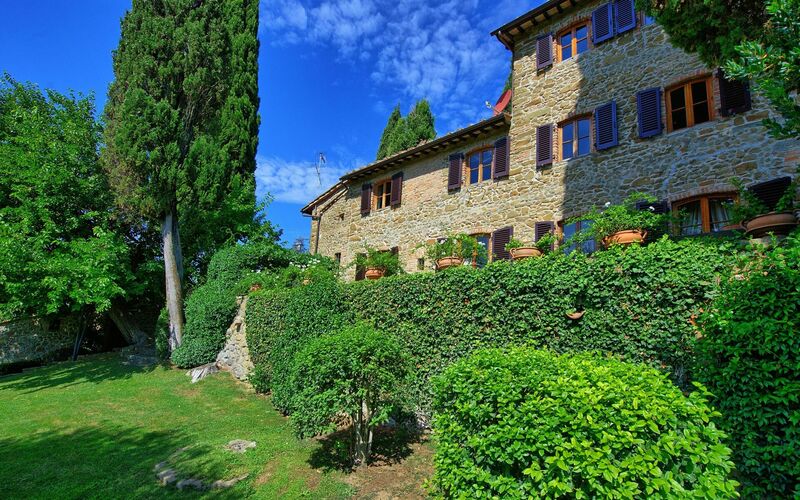 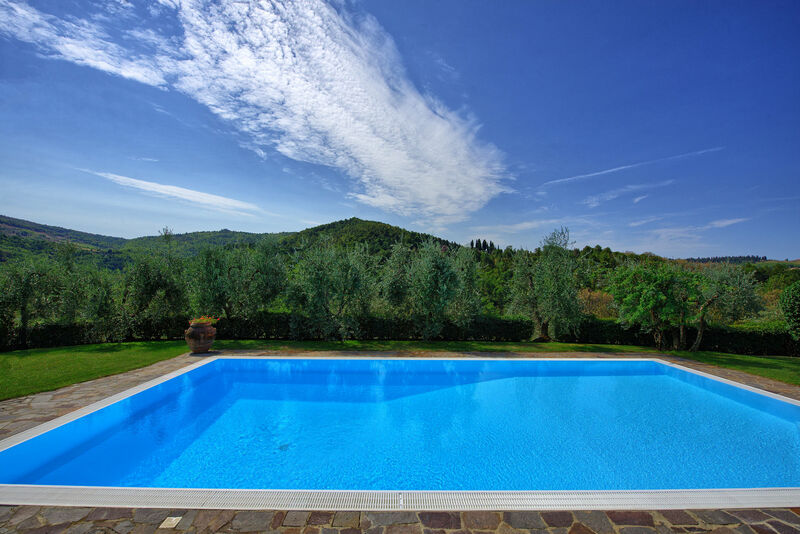 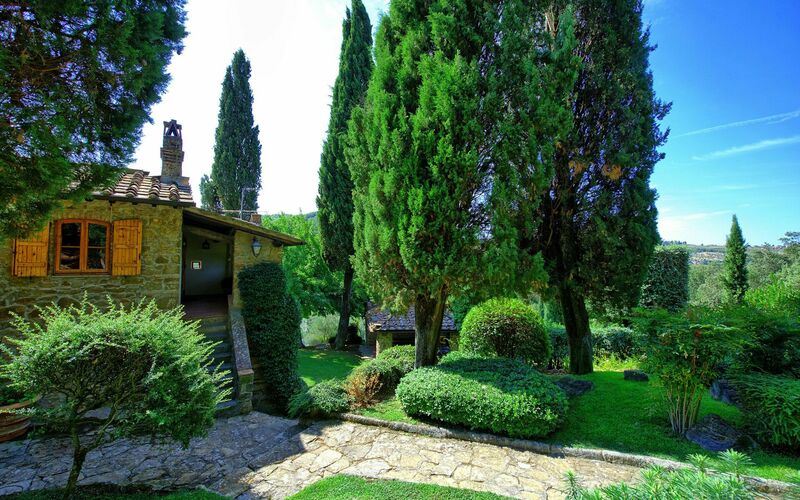 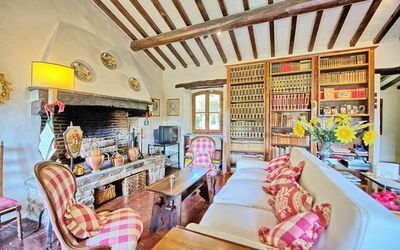 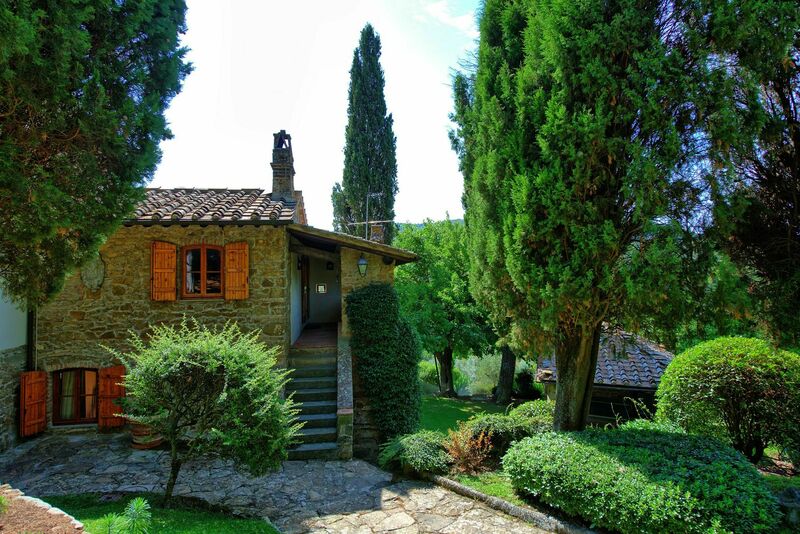 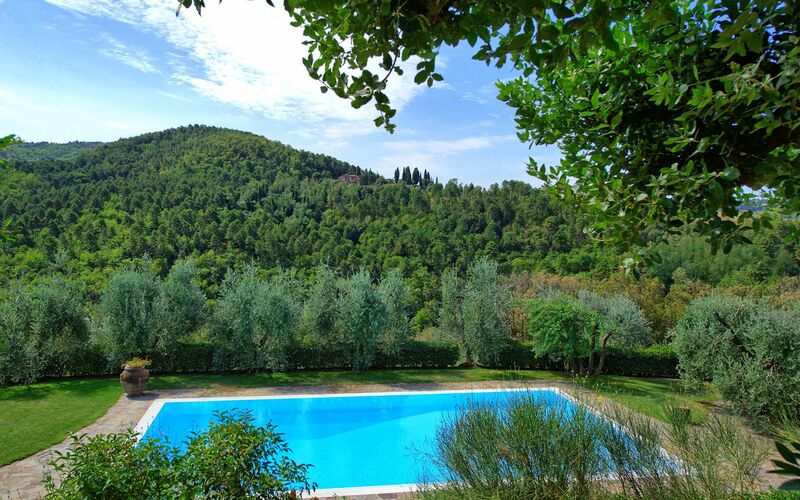 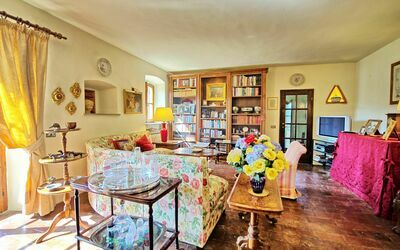 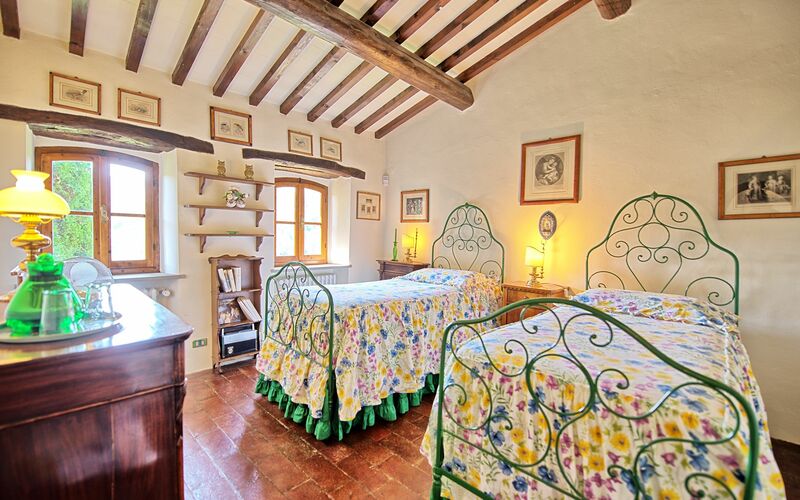 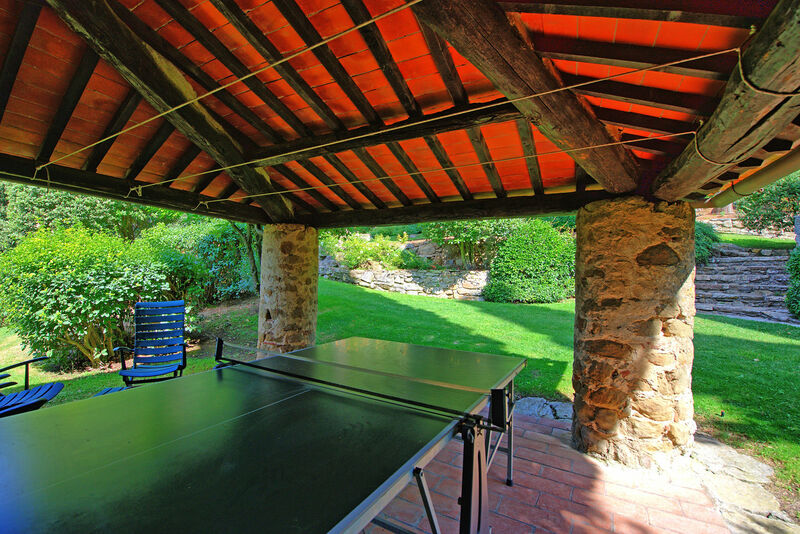 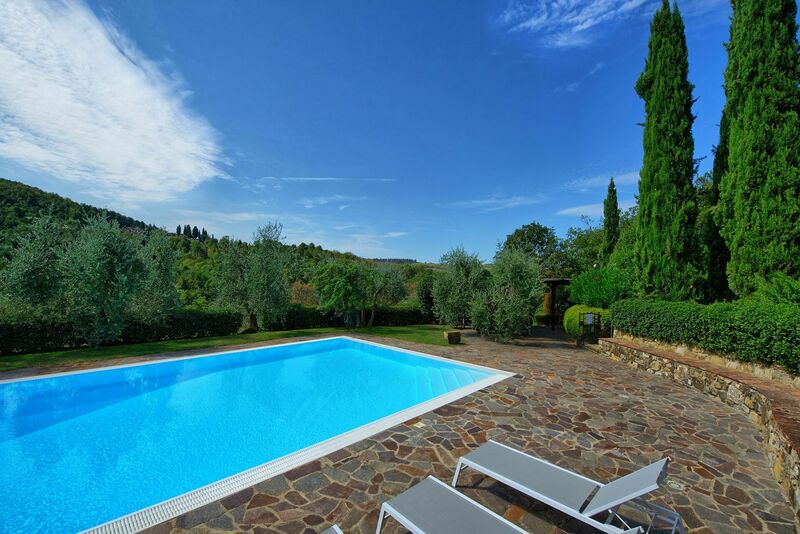 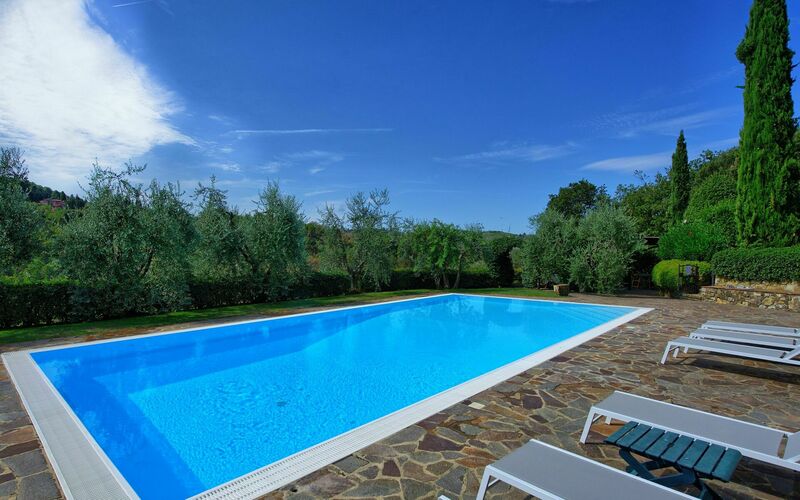 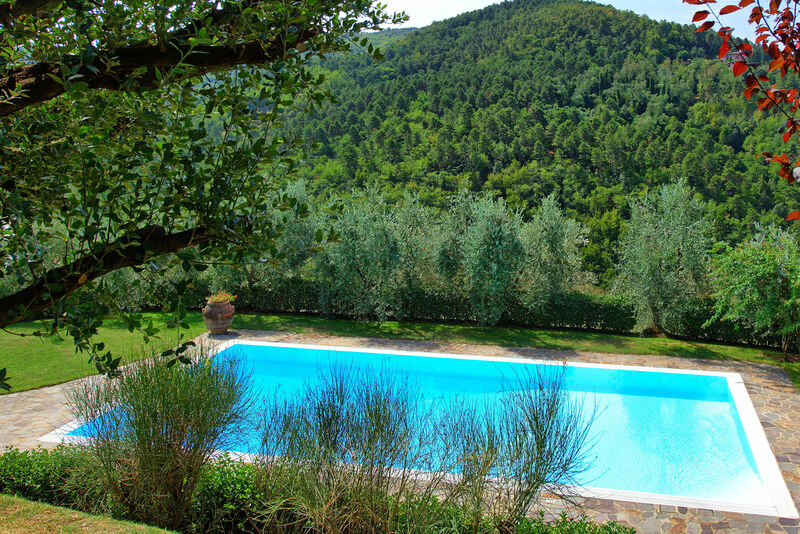 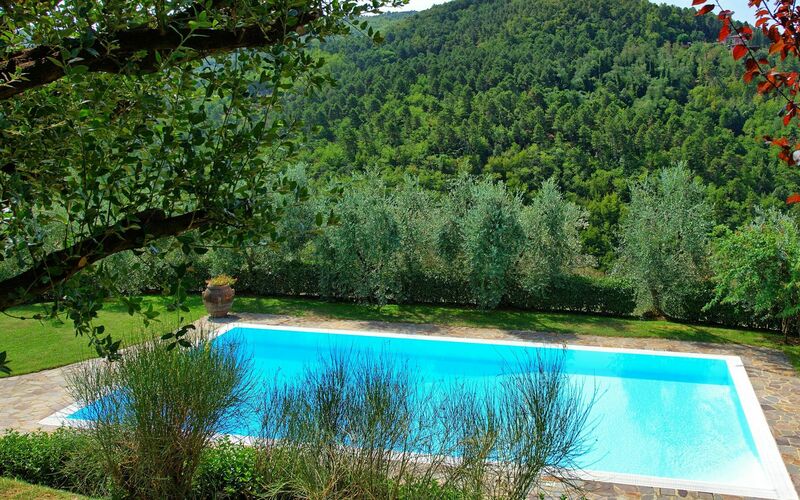 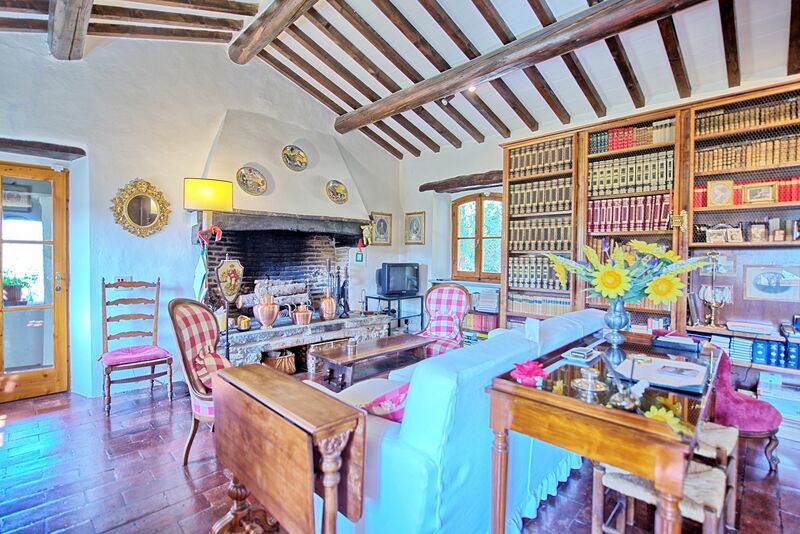 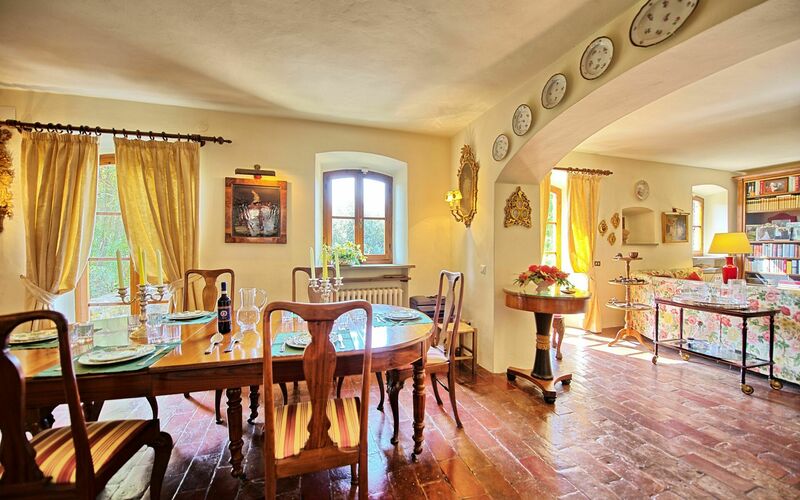 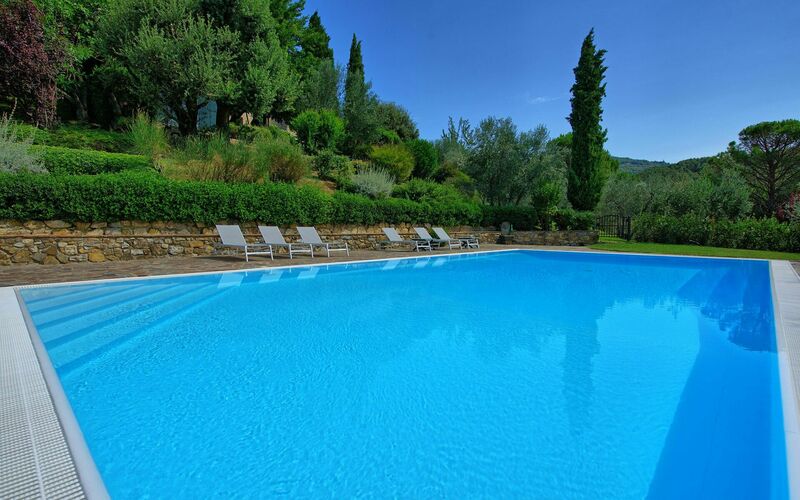 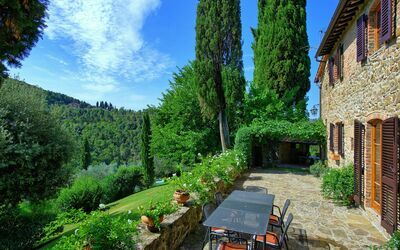 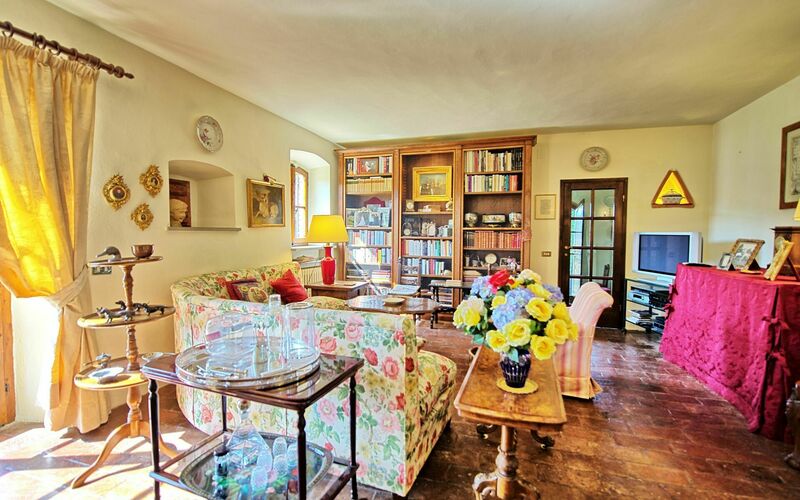 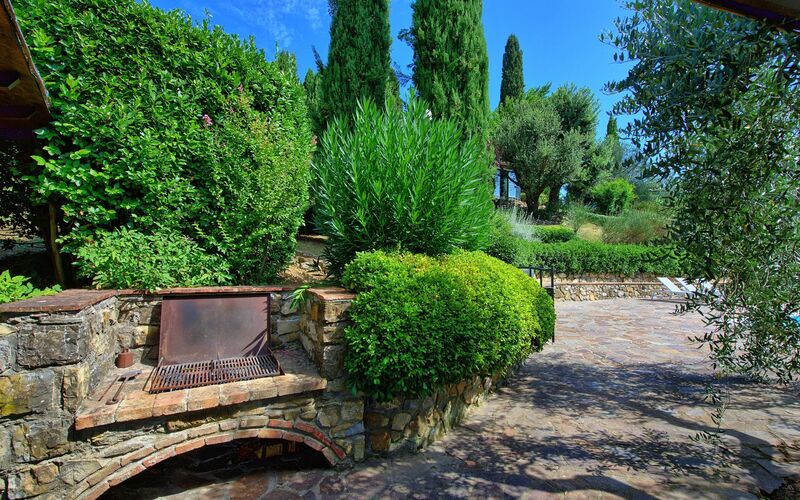 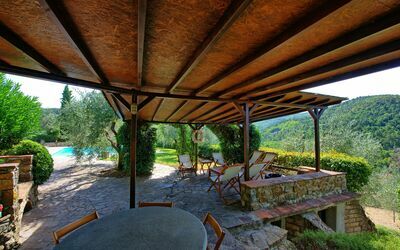 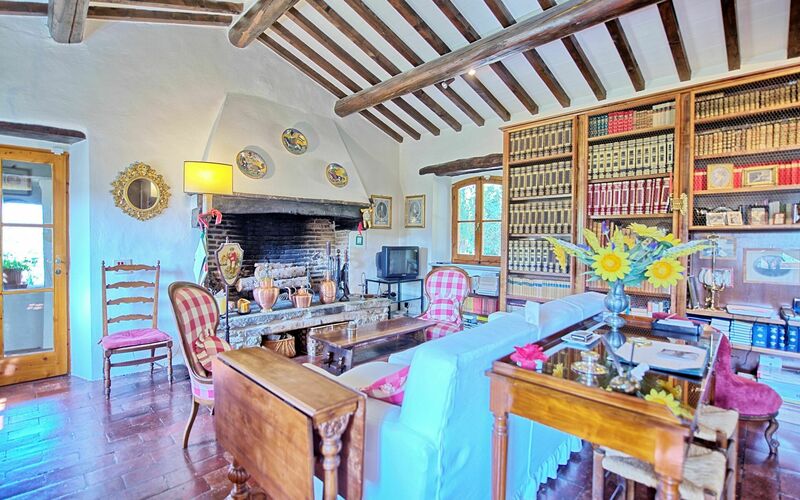 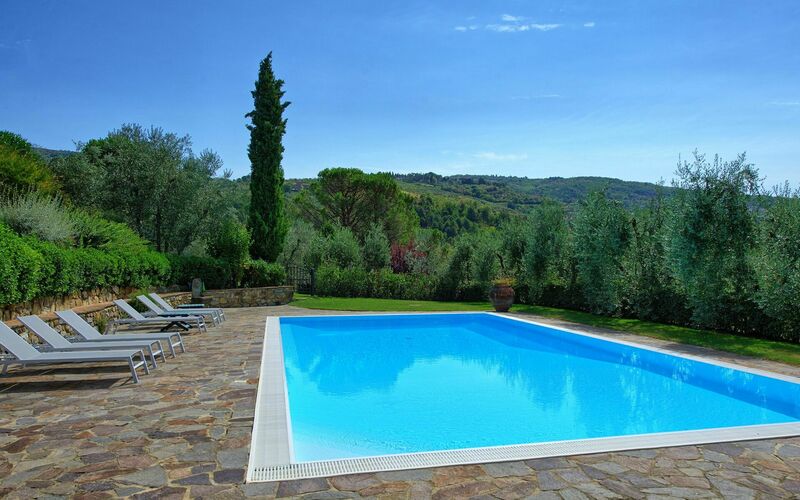 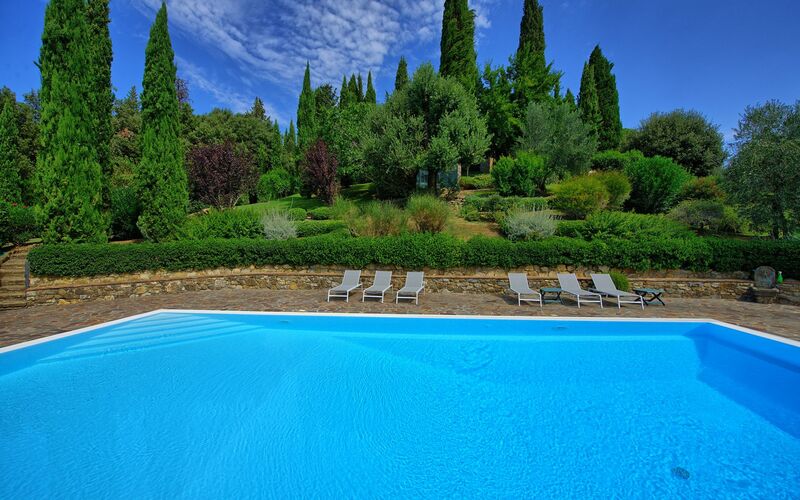 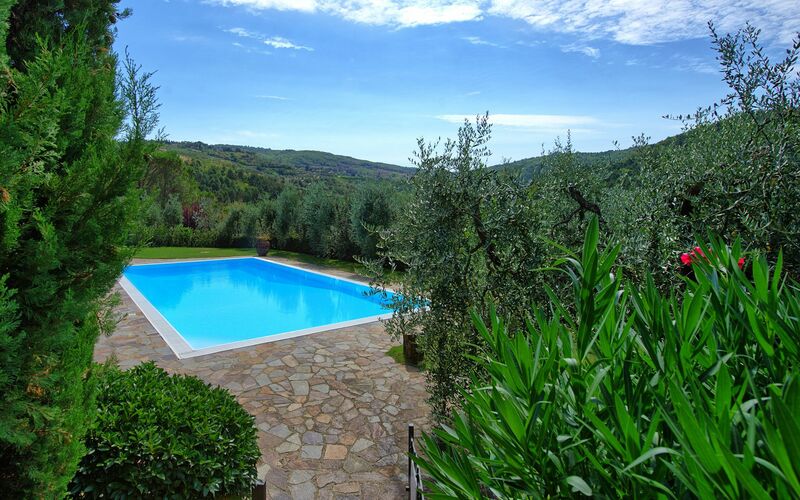 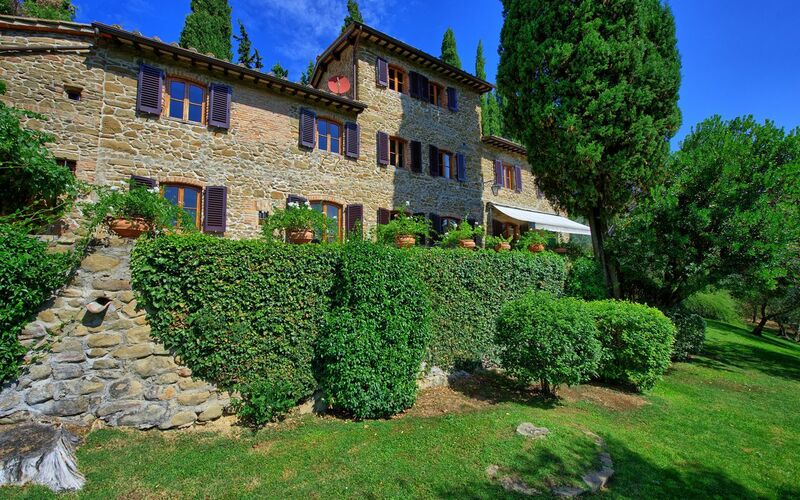 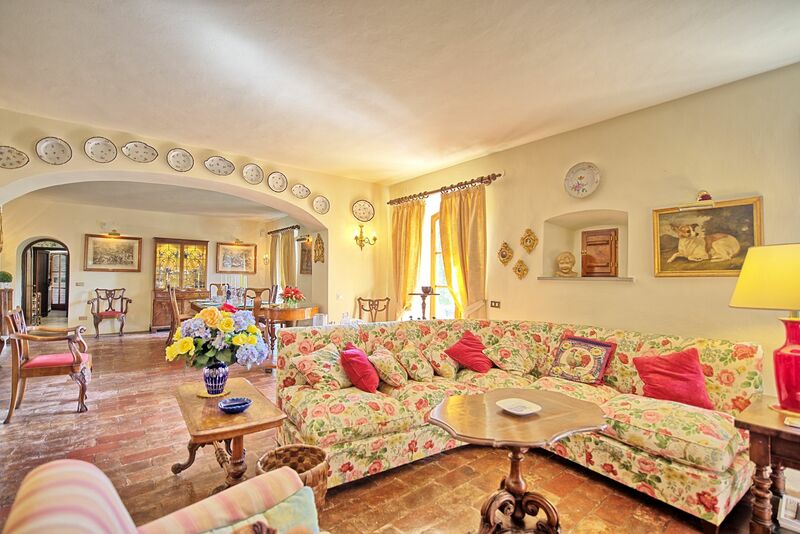 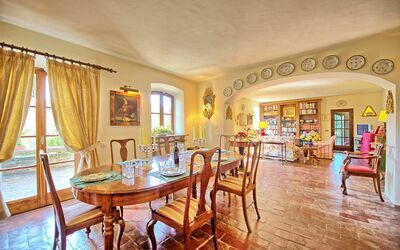 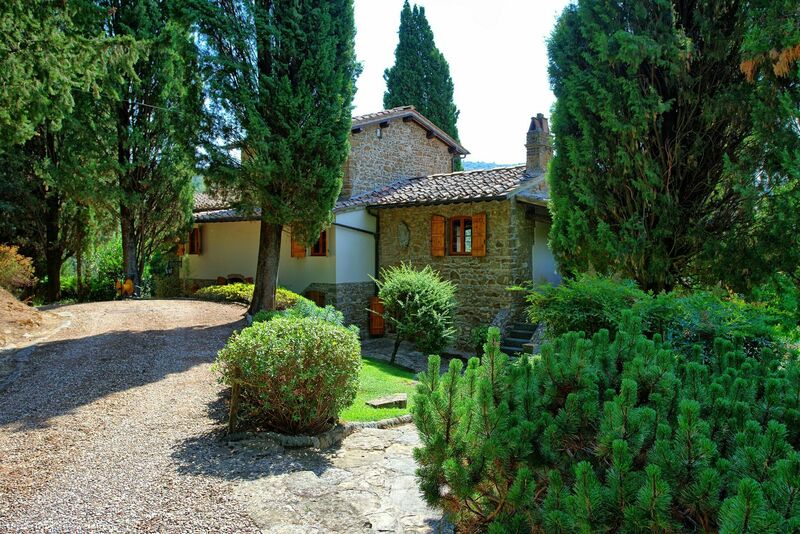 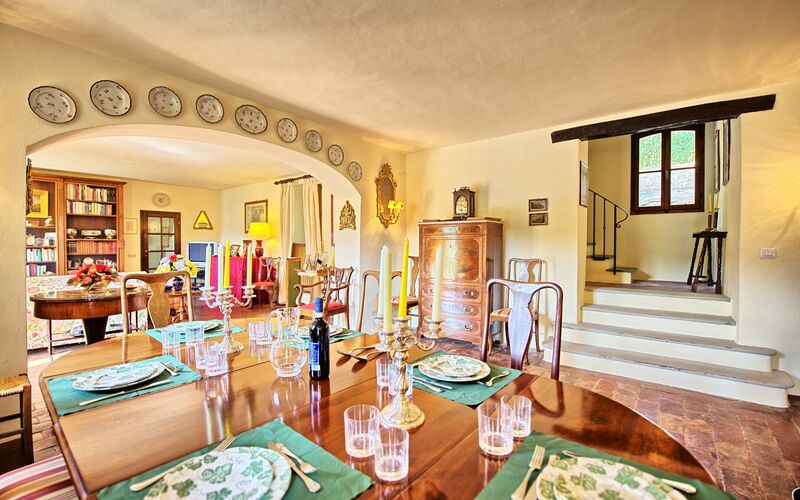 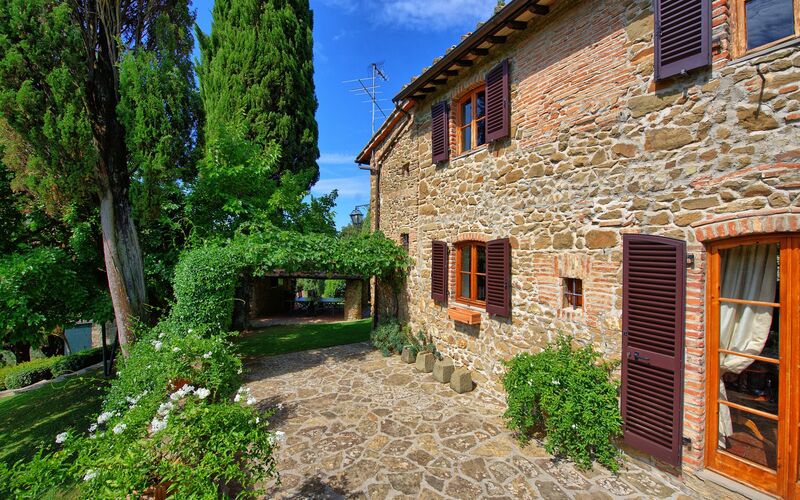 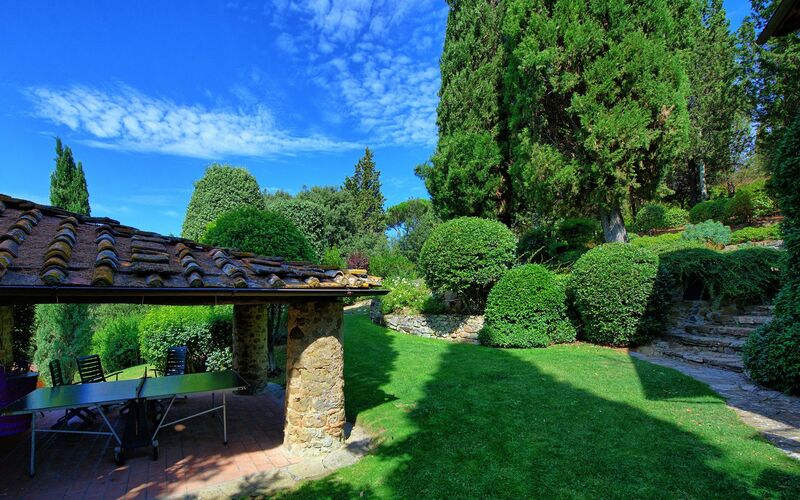 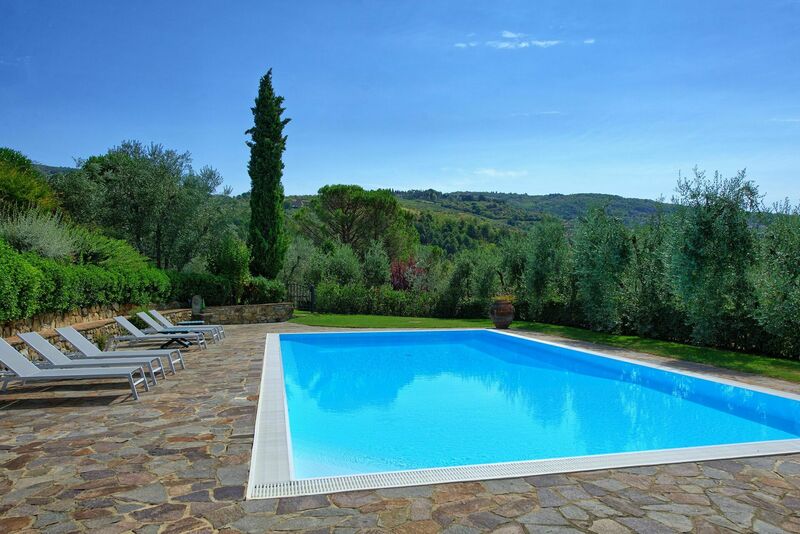 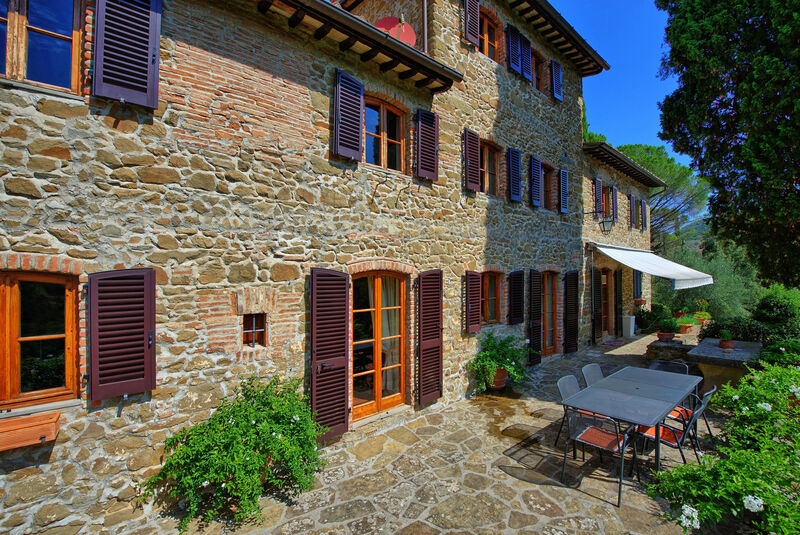 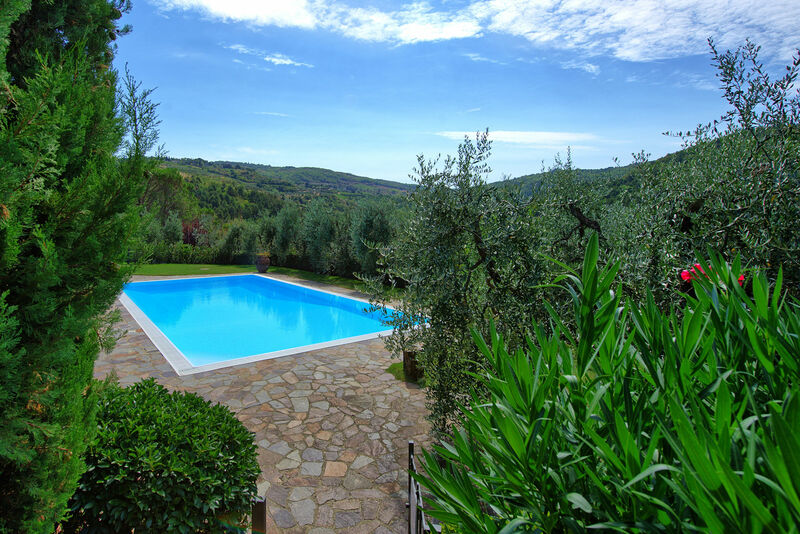 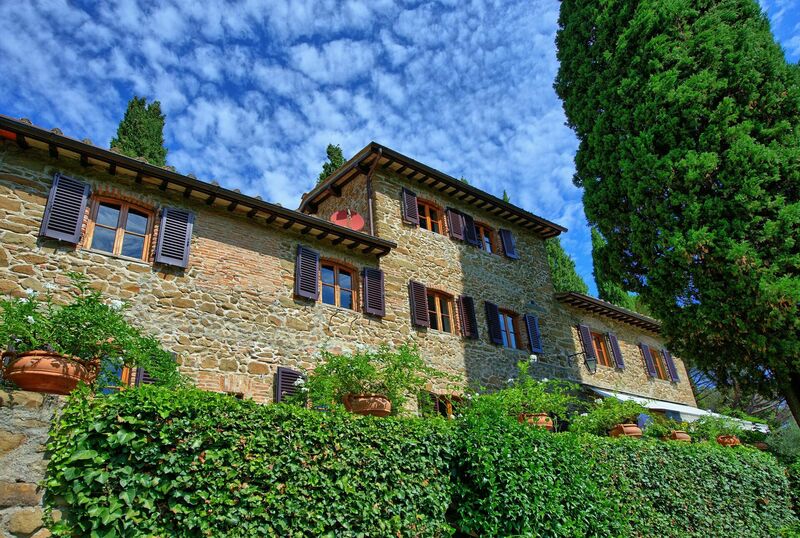 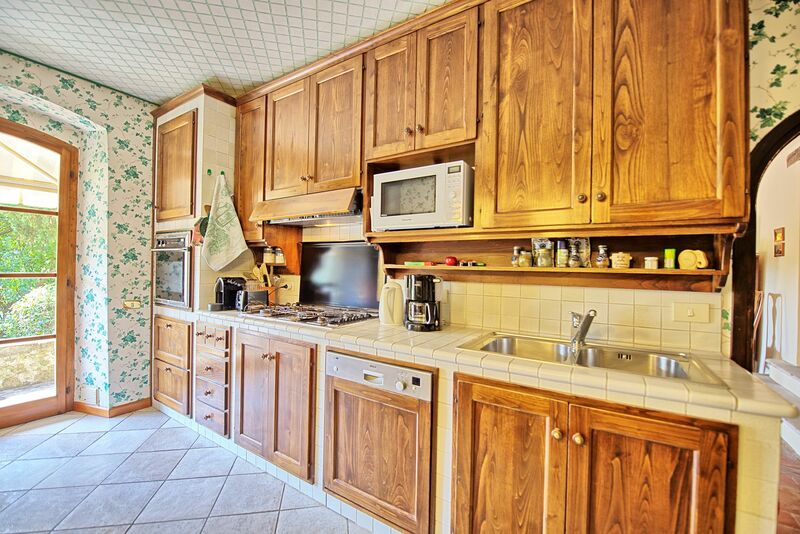 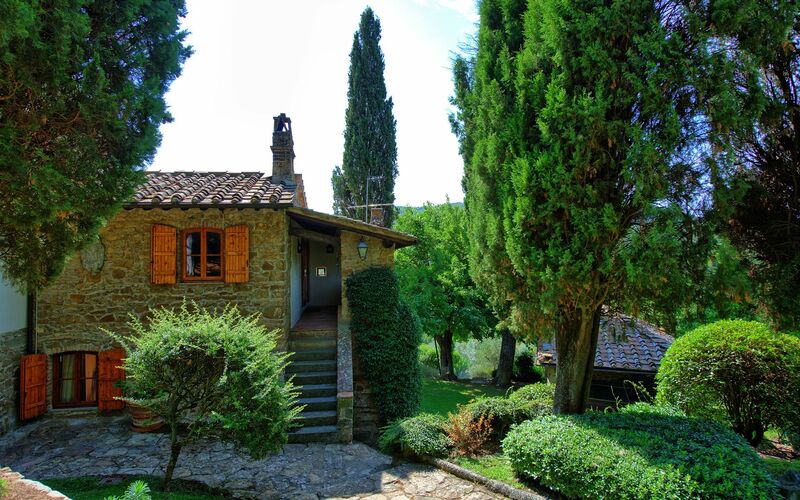 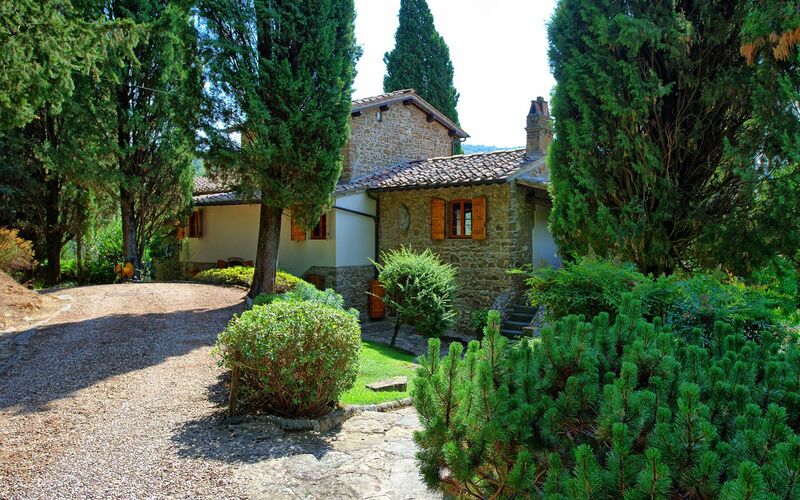 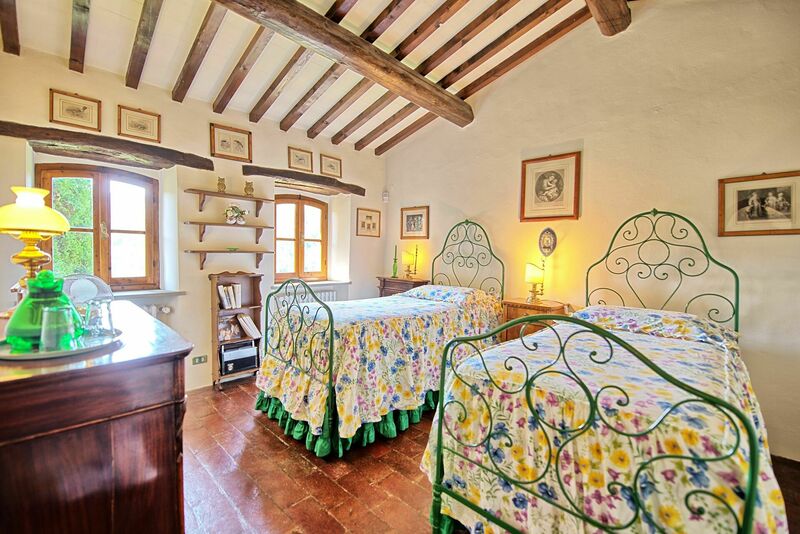 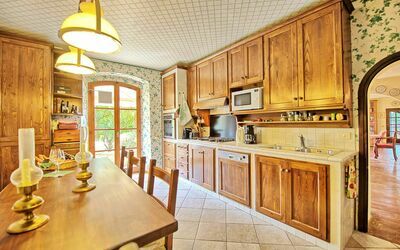 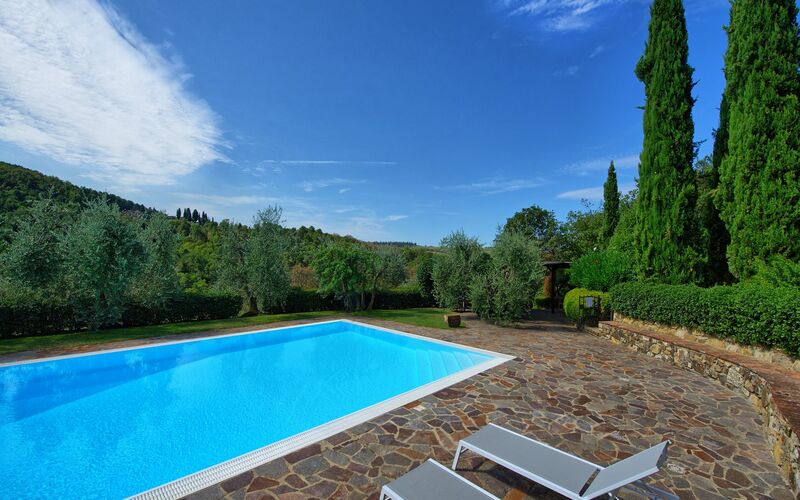 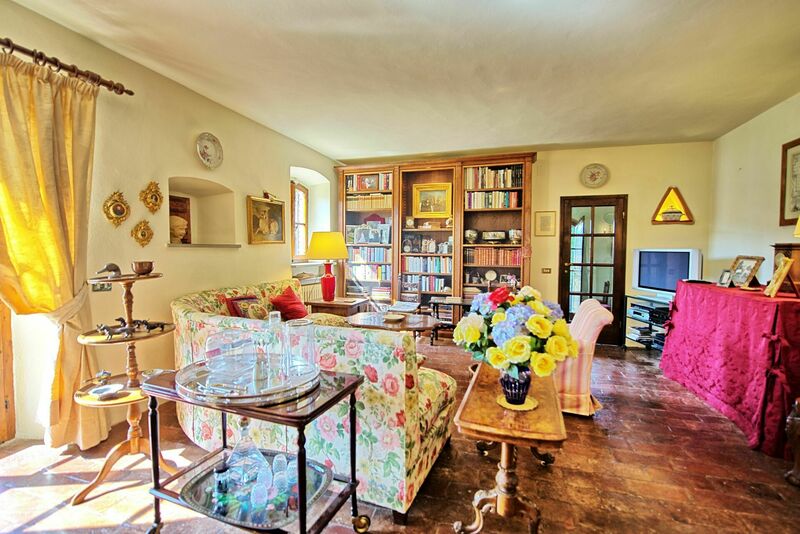 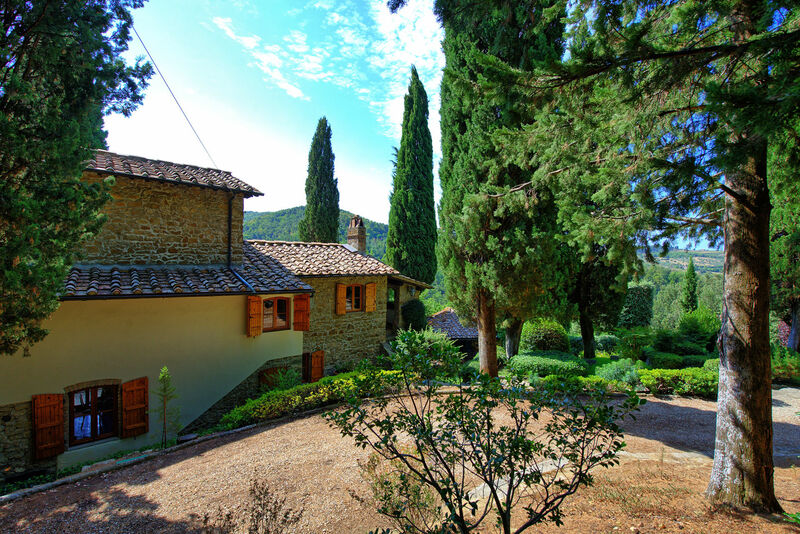 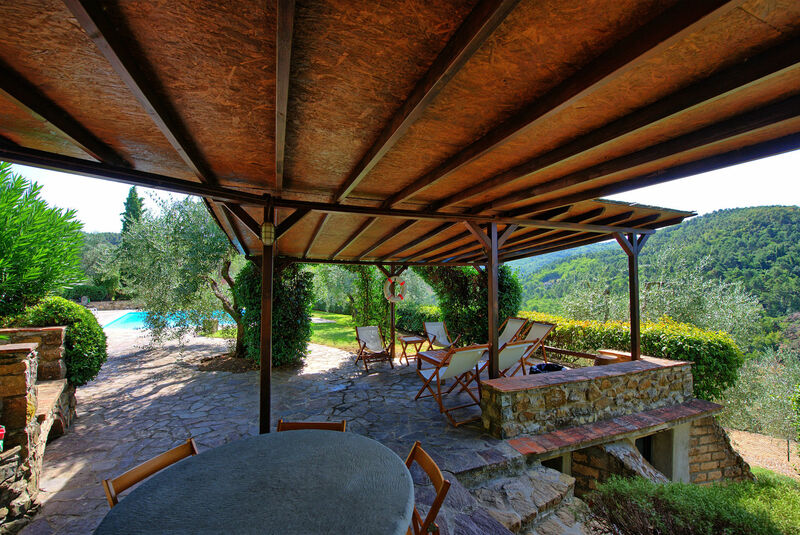 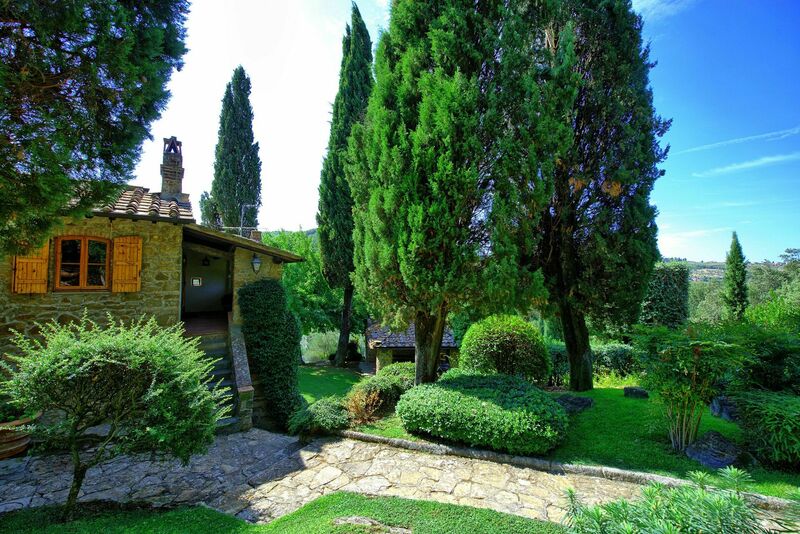 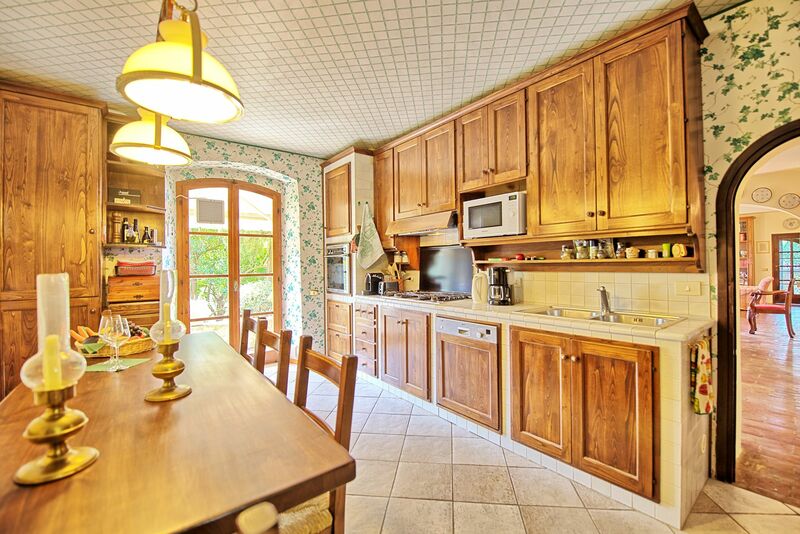 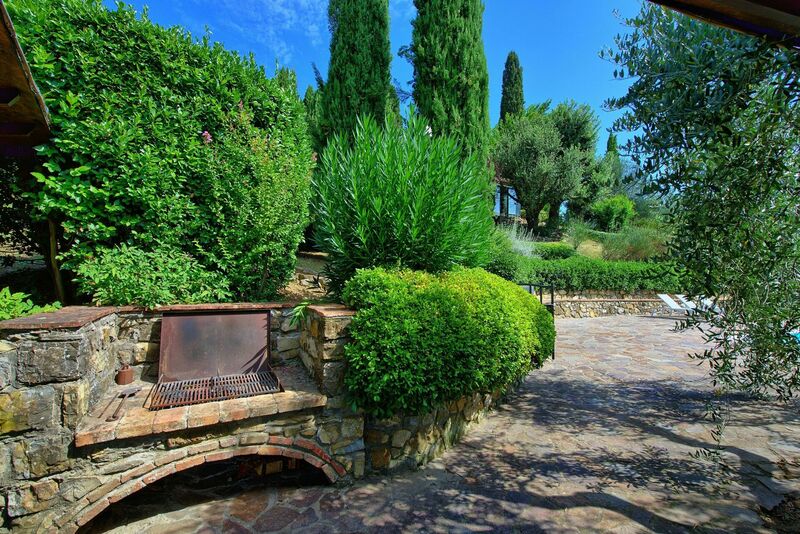 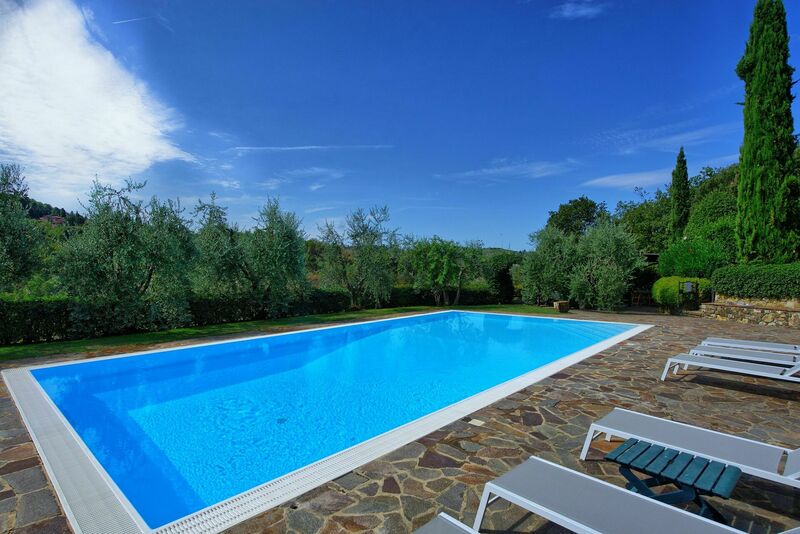 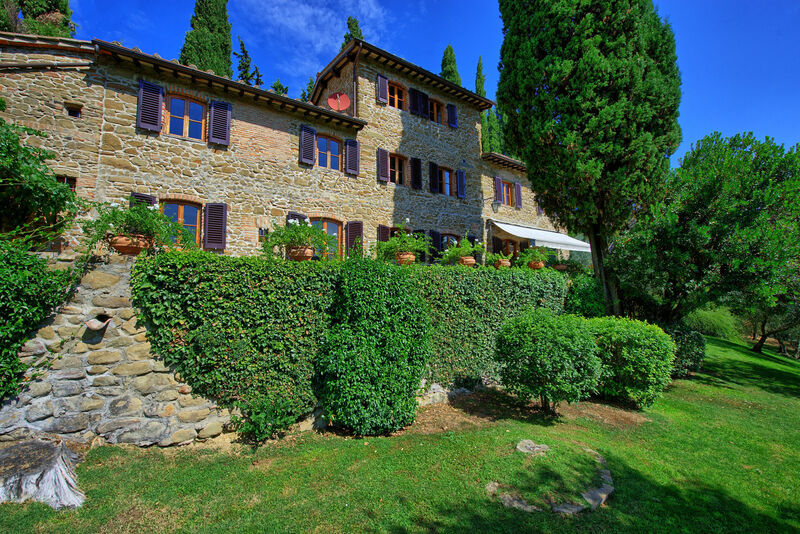 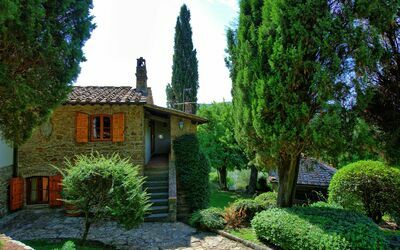 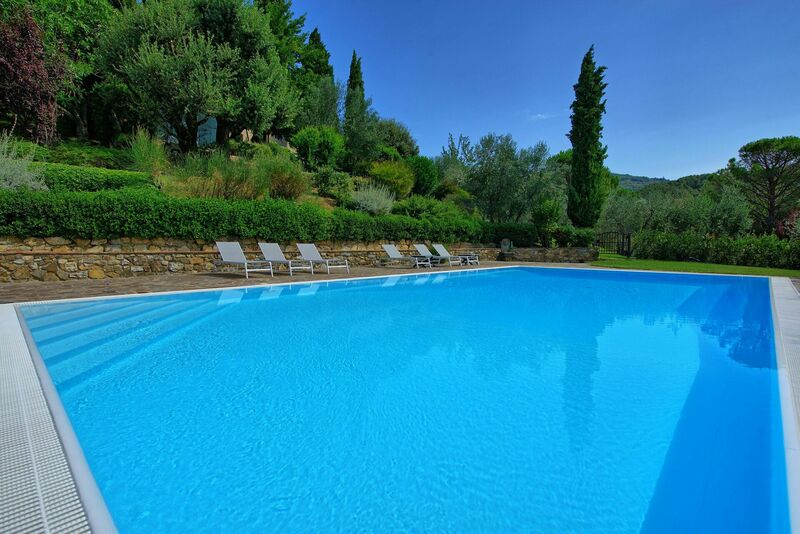 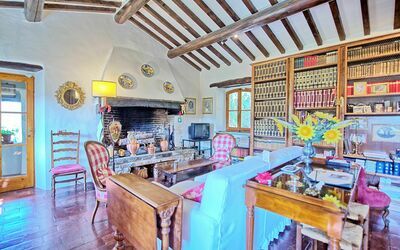 Wonderful stone villa situated in peacefully location in the heart of the Chianti region. 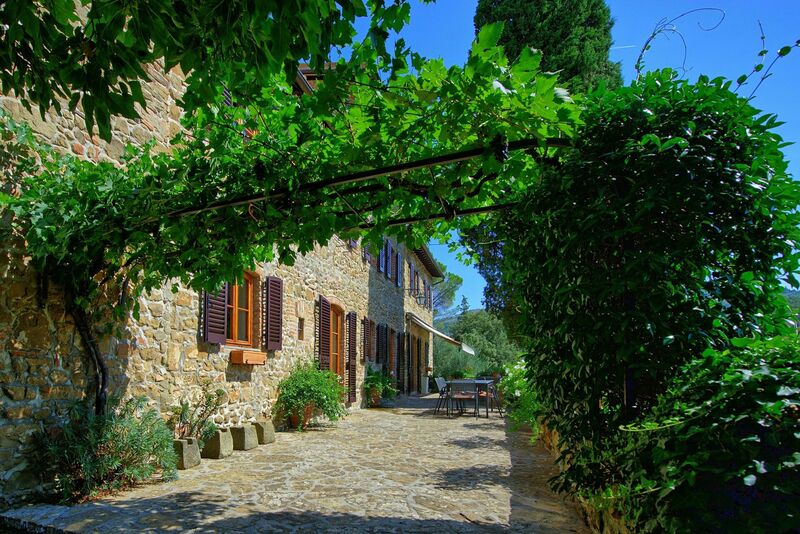 The property, which was carefully restored, offers enchanting views over the surrounding vineyards and olive groves. 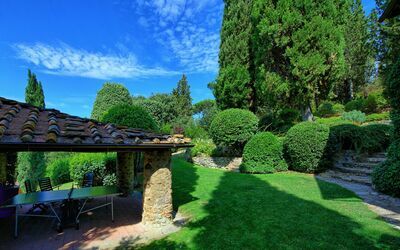 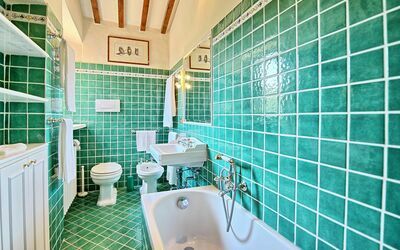 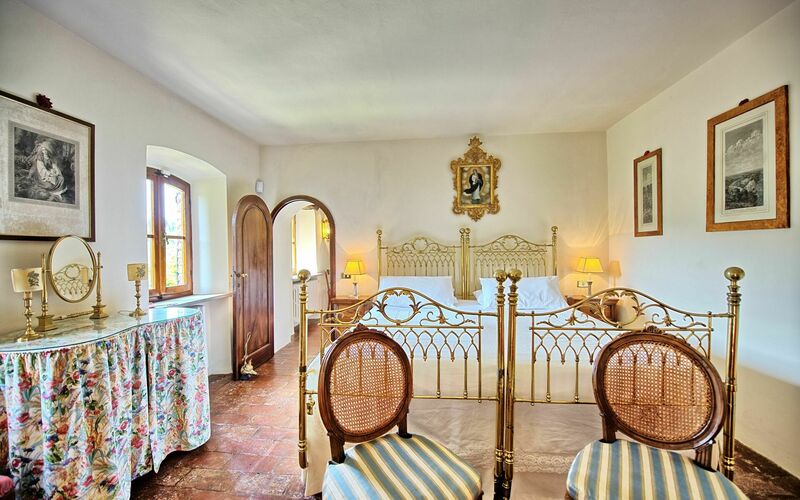 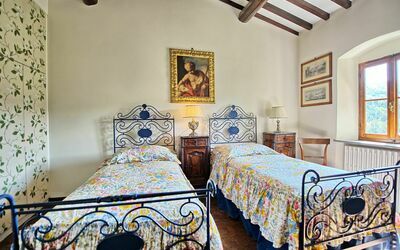 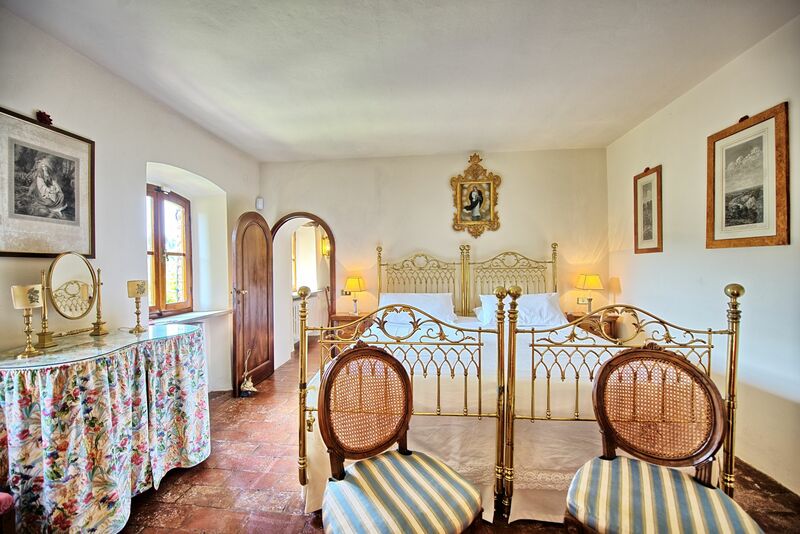 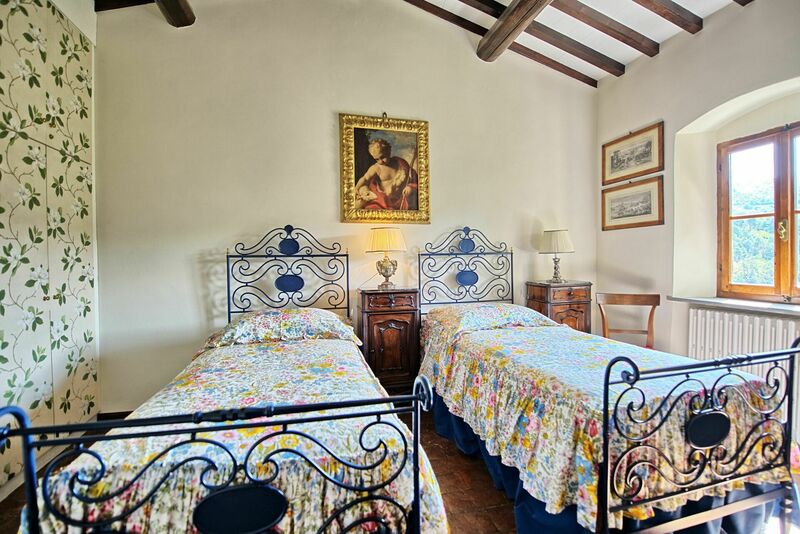 The villa is tastefully furnished with beautiful ancient pieces and is surrounded by a charming well-kept garden. The swimming-pool is private, for the sole use of guests staying at the villa and enjoys extensive views over the surrounding landscape. The pool area is provided with a barbecue and a nice covered furnished terrace for open-air meals. 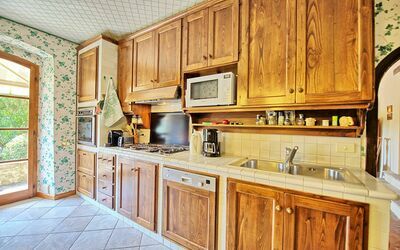 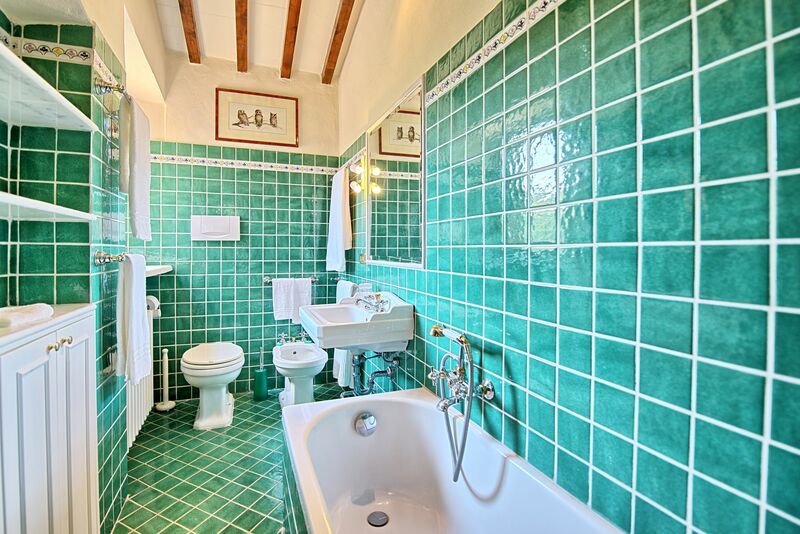 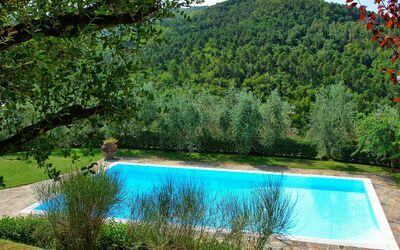 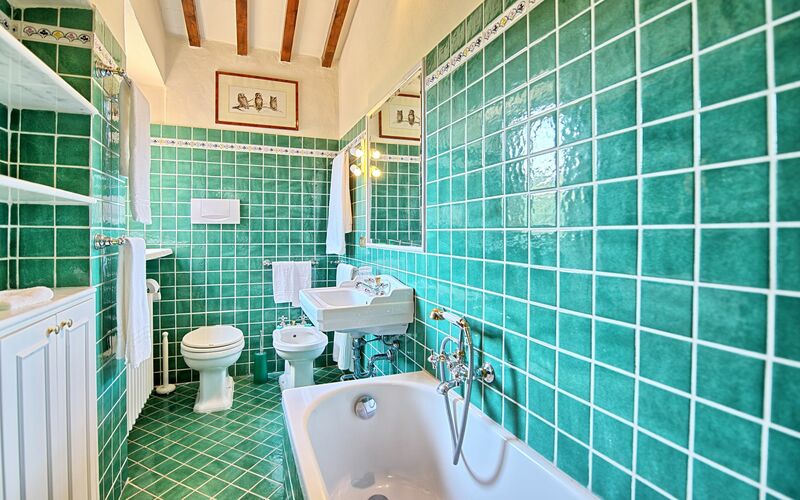 The property is in ideal location to visit the most beautiful areas of the Chianti region as well as Siena and Florence which are in a 30-minute drive. Distances: the nice town of Greve in Chianti with all kinds of shops and main services 4 km, Castellina in Chianti 20 km, Florence 35 km, Siena 40 km. 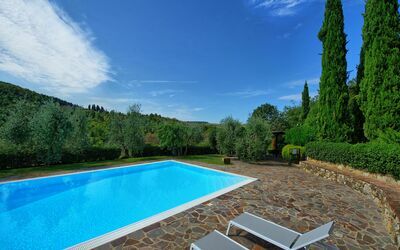 At guests’ disposal: large furnished garden, private swimming-pool (6 x 12 m – maximum depth 2 m), open-air shower, barbecue, covered terrace, dressing room with fridge and toilet, table tennis. Covered parking within the grounds. 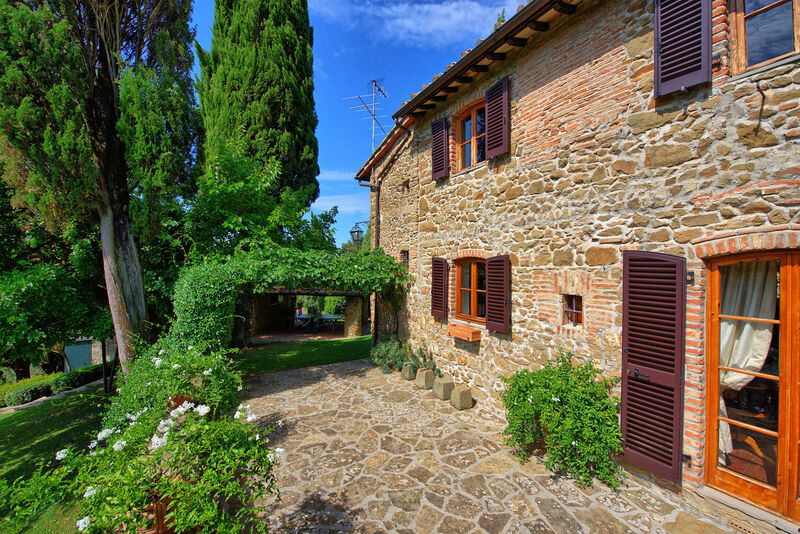 The access to property is via an unpaved but well-maintained road. Maid service: € 16,- / per hour to be paid on the spot. 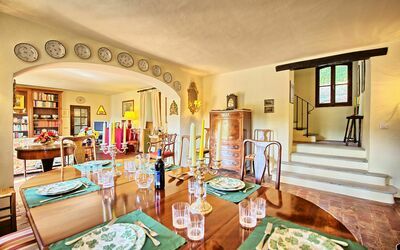 Cooking service for nice meals based on recipes of the local tradition: € 20,- / per hour (payable on the spot). The rental price includes cleaning of the house for 4 hours / a day (from Monday to Saturday included- holidays not included). Ground floor:entrance, large and bright living-room (satellite TV, SKY, fax machine) with dining area and access to a terrace and to the garden, well-stocked kitchen (freezer, dishwasher, oven, microwaves) with access to the garden, laundry/store-room with washing-machine, dryer and access to the outside. 1st floor:living-room (satellite TV) with fireplace and access to a covered terrace leading to the garden via a few steps, bathroom with shower, twin-bedded room, double bedroom with ensuite bathroom with Jacuzzi bathtub. 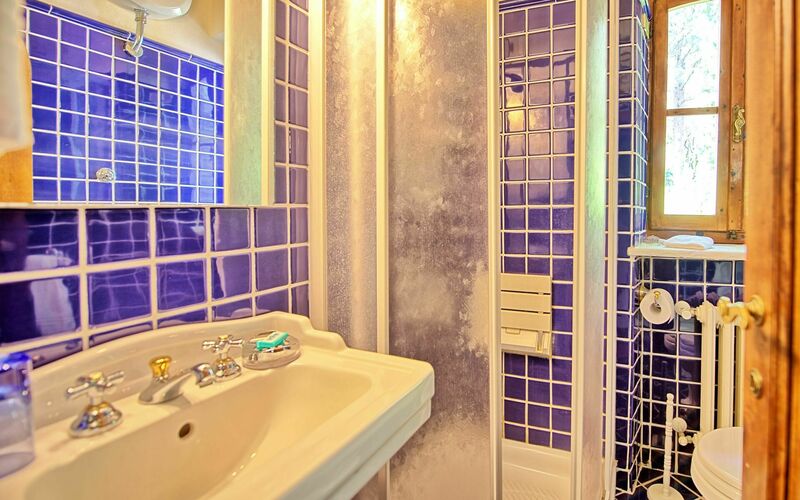 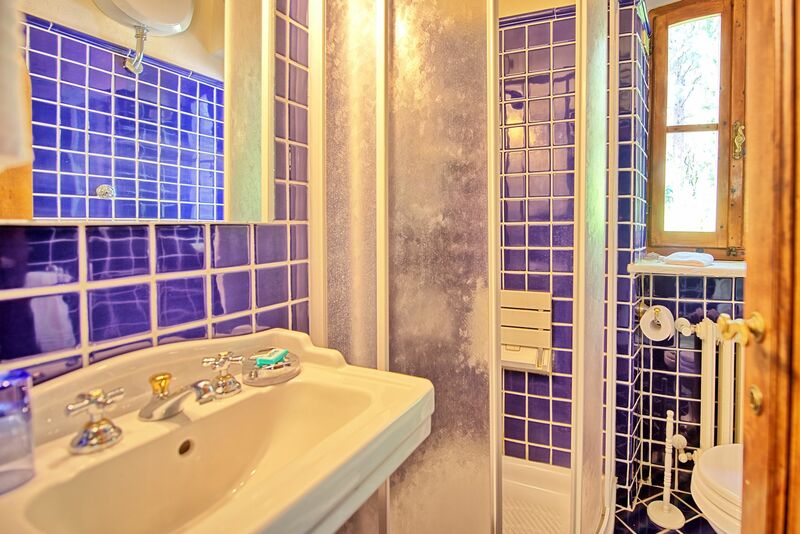 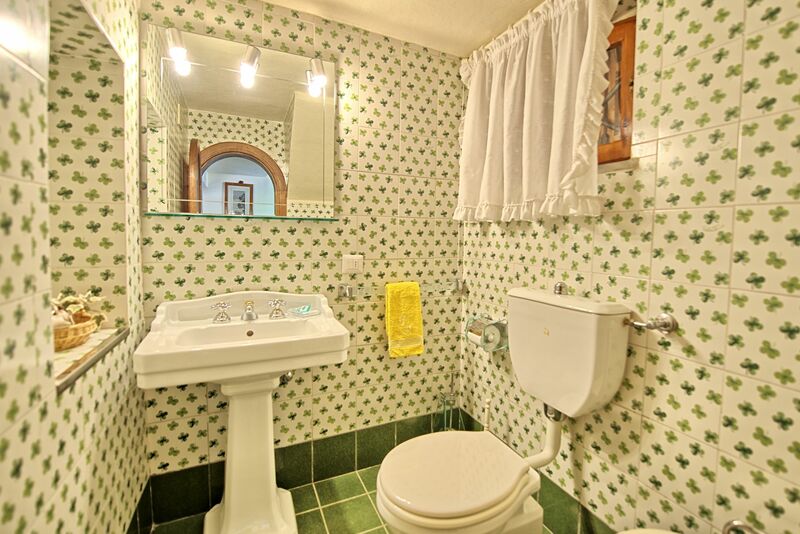 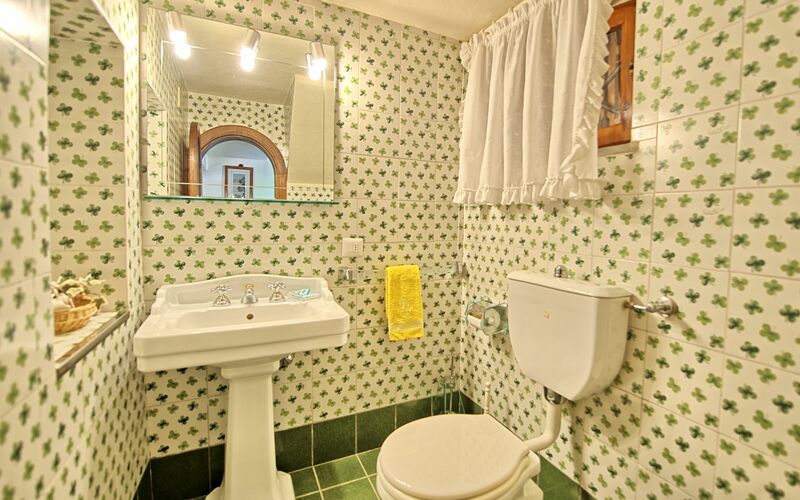 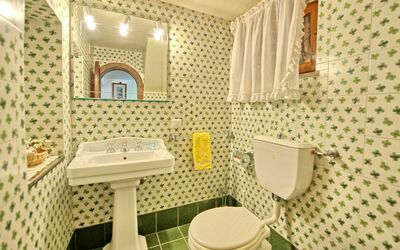 2nd floor: Twin-bedded room, bathroom with bathtub.